The beauty of art and design is deeper than the colors on the surface; it is in the emotion that is felt when a canvas becomes a story, or a space becomes an experience. 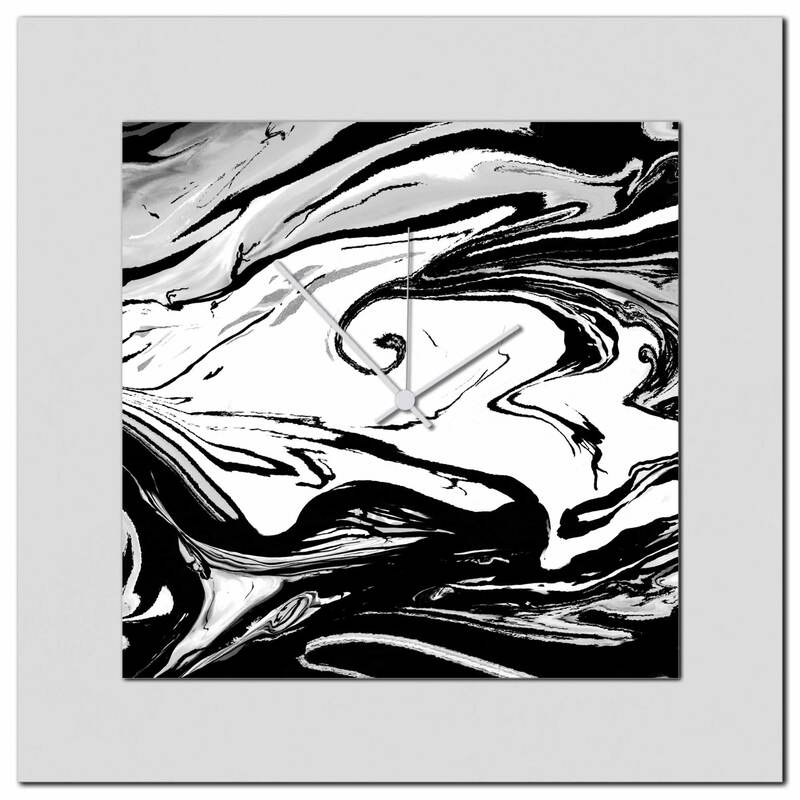 Our dual-layered Black & White Swirl Clock has accentuated the life and movement of the swirling acrylic colors by reverse-printing them in high resolution on the backside of a thick acrylic square, which is then mounted to a larger white aluminum back panel. The result is a mixed-media, multi-dimensional masterpiece that makes a bold, brilliant statement on your wall in modern monochromatic hues.